This southern Cuora galbinifrons subspecies from southern Vietnam, Cambodia, and Laos used to be extremely common in the pet trade in the United States. They could often be found for $50 in various pet stores but are for the most part no longer seen. 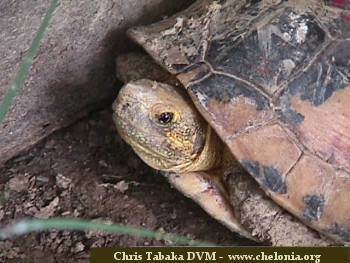 Nicknamed "hell in a shell" by vets and keepers who have had to treat them, once cleaned up and adapted to captivity, Cuora galbinifrons picturata ( shortcut named "pics" for the subspecies) have proven to be extremely hardy and very much like native Terrapenes. 1. 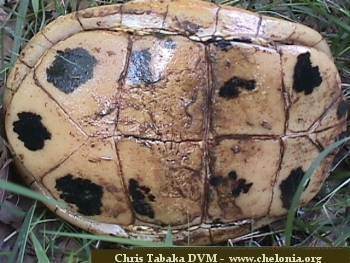 The plastrons of Cuora galbinifrons picturata have large black blotches covering most of each scute as seen below.. 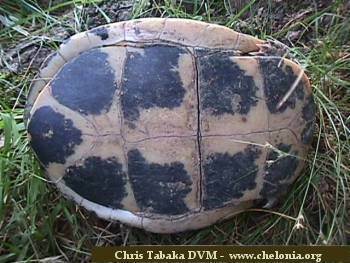 These blotches fade in extremely senescent animals such as the old specimen below. 2. 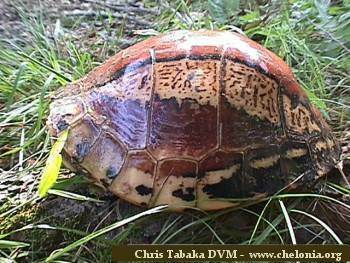 The side profile of Cuora galbinifrons picturata is EXTREMELY pronounced in terms of it's height. They are also not as lengthy as the Cuora galbinifrons galbinifrons. 3. Still another method of differentiating them is by their facial features. 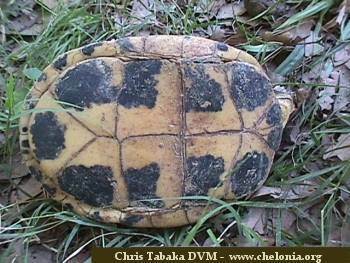 The reticulated yellow pattern of their heads is a classic feature of this subspecies.